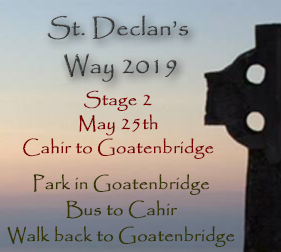 A single ticket for the third stage of St. Declan’s Way 2019. Note: This stage of the event crosses the Knockmealdown Mountains. It will require good quality walking footwear and a decent level of fitness.